What trip to Napa is complete without sipping some of the regions top wines? When staying at the newly-opened Estate Yountville, in the heart of wine country, be sure to take advantage of the property's proximity to some of the best tasting rooms. And, heed the advice of these Napa Valley wine insiders, if you want to what to sip when you get there. Why partner with The Estate Yountville? SHANE SOLDINGER: Silver Trident Winery and The Estate Yountville are both 100 percent dedicated to providing the absolute highest quality product and guest experience possible. Like The Estate Yountville, Silver Trident Winery shares a passion for world class hospitality, luxury, comfort and style. What can guests of The Estate Yountville expect in your tasting room? SS: Every guest who visits our Tasting Home can expect a warm welcome, luxuriously furnished surroundings and an informative tasting experience with top-notch, limited-production wines with thoughtfully prepared gourmet accoutrements. What are the best wines to sip this winter? SS: If you're looking for a wine with soul, depth and warmth, I would highly recommend our 2015 'Twenty Seven Fathoms' Napa Valley cabernet sauvignon and/or our 2016 'Benevolent Dictator' Russian River pinot noir. If you're in the mood for something a little lighter and brighter, I would grab a glass of our 2017 'Symphony No. 9' Napa Valley sauvignon blanc. It's a gorgeous wine and stunningly versatile for any season. What makes your tasting room different? SS: We've designed an intimate and inviting Tasting Home in the heart of downtown Yountville that is beautifully furnished, from floor to ceiling, with the Ralph Lauren Home Collection. Guests are invited to browse our showroom, shop, relax and take it all in with a wonderful tasting experience of inspired precision wines, warm hospitality and gourmet pairing options for every palate. MEGAN LONG: The Estate Yountville attracts a similar type of discerning guest as the JCB Tasting Salon—people who want to indulge in the best of life’s pleasures in well-curated and elegant environments. ML: This time of year the JCB No. 11 Sonoma Coast Pinot Noir and 2008 GALA Champagne are very popular... No. 11 is an ideal pairing with seasonal holiday feasts that include turkey, ham and stuffing, while GALA has the festive sparkle perfect for a toast, but also a rich mouthfeel and full body that goes well with holiday treats such as Dungeness crab, deviled eggs, and of course, caviar! ML: We are essentially a “one-stop shop” because of our broad selection of wines, food, and gifts. We offer a wine for every palate, including lively sparkling wines from Sonoma County as well as France; round but balanced Chardonnays from Chardonnay, Napa and the Santa Lucia Highlands; earthy yet fruity Pinot Noirs from Sonoma; and rich, voluptuous Cabernet Sauvignons from Napa Valley. Atelier Fine Foods next door provides the perfect accompaniments to our wines, including the finest local and imported cheeses and charcuterie as well as caviar, olives, mustards and gourmet crackers. Our collection of glassware, flatware and place settings from luxury purveyors such as Christofle, Bernardaud and Saint Louis are designed to inspire elegant gatherings, while gifts from Baccarat, Lalique and Pasotti—not to mention our signature JCB Jewelry collection designed by Jean-Charles Boisset himself—will bring a smile to loved ones’ faces any time of the year. 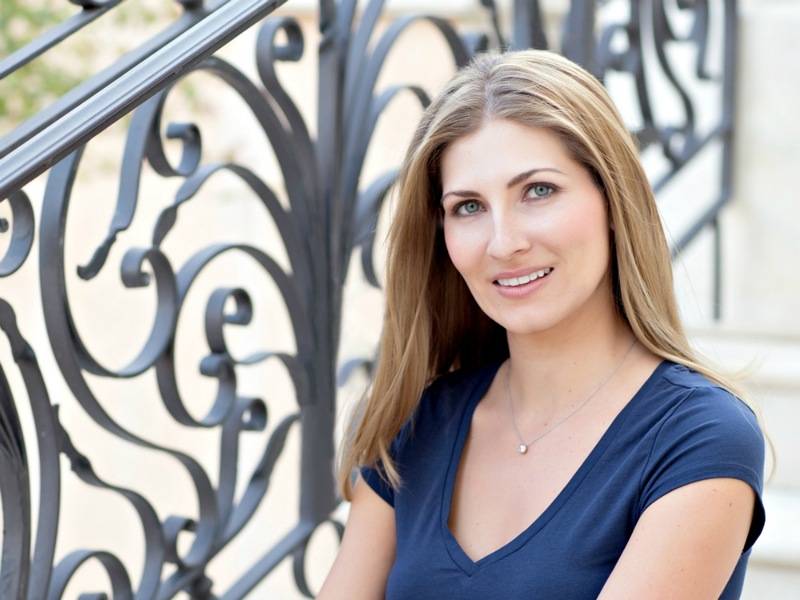 DESIREE DEL DOTTO: We have partnered with The Estate Yountville for many reasons. First off, they are located very close to our newest winery, Piazza Del Dotto, making it convenient for guests to come visit us. We also love the hotel and all the wonderful updates they have made recently. It is a wonderful place to stay when visiting Napa Valley. DD: We treat all of our guests amazing but give extra special attention to those referred to us by The Estate Yountville. DD: Cabernet of course! Or another great holiday sip is our port wine as well. DD: We offer our famous cave experience and barrel tasting which is something we started over 20 years ago at our original location. We now host these at all three of our locations and have made barrel tasting famous! RYAN HILL: The Estate Yountville sets the gold standard for outstanding service in the town of Yountville. By aligning ourselves with their property, we have the opportunity to introduce our wines and family story to their guests, along with hosting events and unique experiences on their property. RH: Our salon-styled tasting room offers a comfortable setting amid eclectic décor and antique furniture. It’s elegant and quite polished (this is Yountville after all) but still kicked-back, with a gracious staff who can impress sophisticated foodies as well as rowdy imbibers. RH: As the rainy, cold weather descends upon wine country, so do robust red wines like syrah, malbec, and cabernet sauvignon. However, if you have an affinity for crisp, high acid wines, our brut rosé will hit the spot. RH: We offer a blind tasting experience, where guests are invited to put their palate to the test, tasting four wines concealed in black Riedel glasses. During this fun and educational tasting, guests will learn the unique characteristics of grape varieties, vineyard appellations and vintages to help them guess what wine is in each glass.